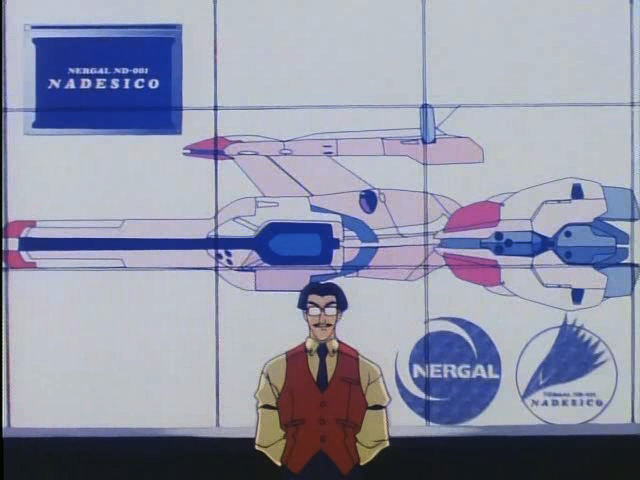 The Nadesico is a space battleship designed by the Nergal corporation. Martian Successor Nadesico is a Sci-Fi Comedy series originally produced in the mid 1990s. I was interested in checking it out, because the director, Tatsuo Sato, is the director of a Winter 2012 space-themed series, Bodacious Space Pirates (Mouretsu Pirates). The two shows are not a good comparison, however. Whereas B-Space Pirates is light in tone, it leans much heavier on being a Science Fiction story, whereas M-S Nadesico is very much a comedy. 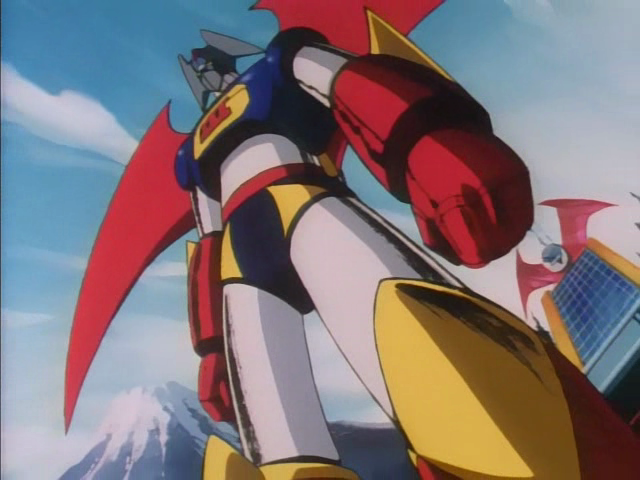 In fact, M-S Nadesico is largely a parody of (or meta-narrative about) 1980’s giant robot anime. Despite the fact that MS Nadesico is intentionally very silly, I was impressed by many of the issues raised over the course of the series, and really am glad that I watched it. "We're gonna ram that thing!" M-S Nadesico is built to look, at first, like classic Space Opera. Humanity is struggling to defend itself from the invading Jovian Lizards. Over the course of 26 episodes, however the actual reason the war is being fought is reevaluated numerous times. 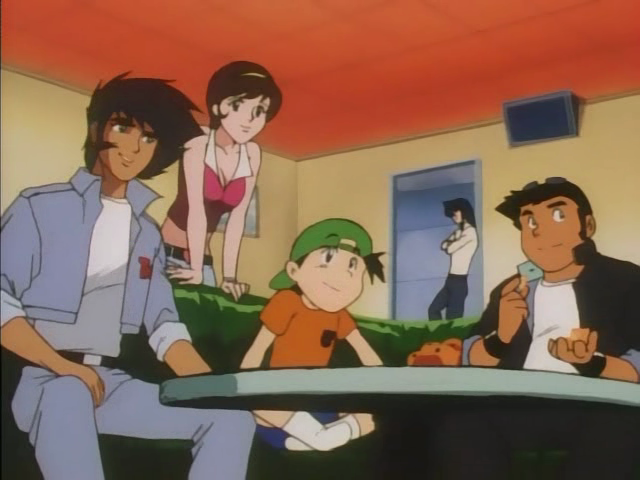 The deep interconnections between the show’s primary mode of Comedy, and the observations about society run throughout the show. An example is the approach to ship command. 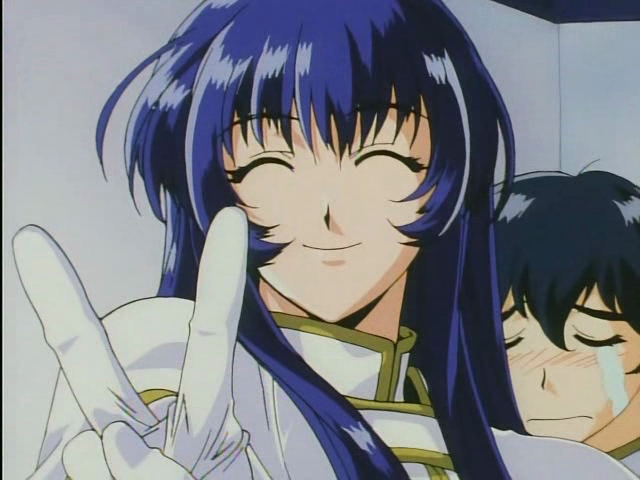 Yurika Misumaru, captain of the Nadesico. Believing that modern warfare technologies have rendered the role of the Captain a mere figurehead, the Nergal corporation selects the decidedly bubble-headed Yurika as the first captain of the Nadesico. Later, when ship morale seems to be waning, the corporation holds a beauty contest to select the next captain. In both cases the implications are clear; independent thought is not desirable, all that is needed is to keep the crew’s spirits up as they are sent off to fight for their lives repeatedly. 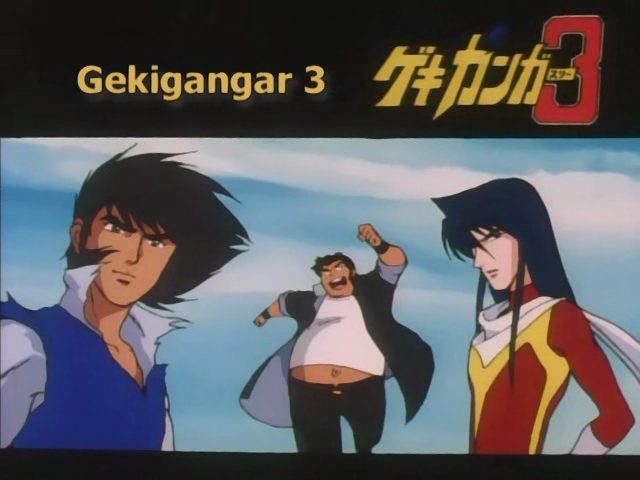 Gekigangar 3, is a giant transforming robot series within the universe of Martian Successor Nadesico. Gekigangar is a giant robot anime series that never was. Several of the characters in M-S Nadesico have an uncommon fondness for the show, and Gekigangar becomes both a parody of such giant robot shows, as well as a vehicle for discussing the nature of shared narratives (both good and bad). I can’t go into great detail about how Gekigangar is used in M-S Nadesico without spoiling a lot of important plot points. But it certainly can be said that what, at first, seems like a nostalgic indulgence eventually shows itself as having a profound impact on the conflict with the Jovians. 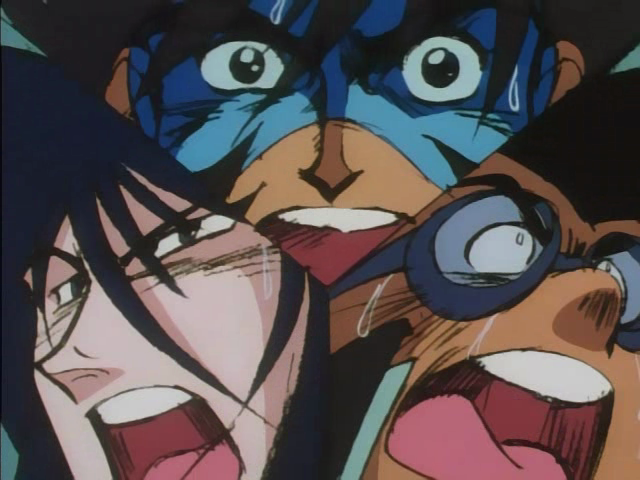 The characters from Gekigangar enjoy some down time by watching an episode of Martian Successor Nadesico. Oddly M-S Nadesico casts it’s shadow onto the world of Gekigangar as well, with both both the good guys and the bad guys getting inspiration by watching M-S Nadesico to create their super weapons. 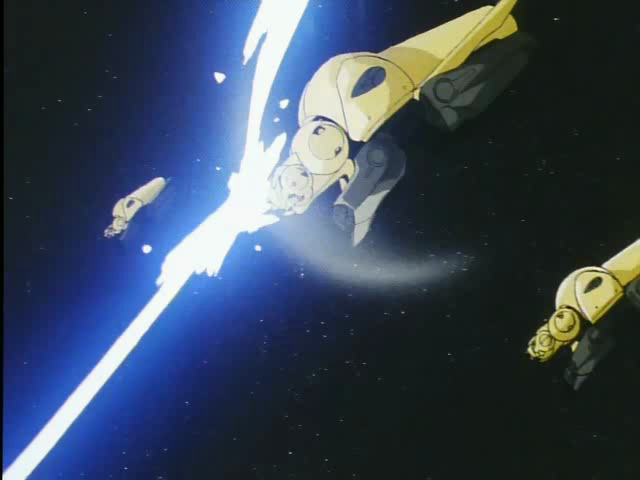 Both series also feel free to criticize each other, in M-S Nadesico, Gekigangar is derided by one character as having villains whose sole motivation is that they are evil, whereas the Gekigangar characters are critical when the latest episode of M-S Nadesico turns out to be a recap episode, pointing out that the show was probably falling behind its production schedule. Rules for heroes: #1 Yell real loud. It is very surprising that a show that is as consistently silly as M-S Nadesico includes a rather thoughtful and extended analysis of the impacts that narratives have on human action, at both the individual and the social levels. Nevertheless, set amongst the Rom-Com hijinx and bad puns, the viewer will find a well-balanced consideration of the importance of the stories we choose to tell ourselves. Recording voice work for an animated series. Since comedy really is such an important part of the show I wanted to say a few words about it. First, I have already mentioned that Gekigangar is used both to parody giant robot anime and to provide meta-commentary on M-S Nadesico itself. M-S Nadesico is also part harem romantic comedy, to me this is the form of Comedy that is the least successful, but I’m not a fan of the genre, so am admittedly biased against it. A third form is the cool derisive comments uttered by Ruri, the Nadesico’s Science officer; I found this form worked well for me, especially because much of her disdain was directed against the nonsense being perpetrated in the name of romantic comedy. There is also a character, Izumi, who uses a different form of comedy, puns. As one might expect, Izumi’s puns can be pretty bad, and she is the only one who ever seems to laugh at her jokes, but the effect is humorous, nonetheless. There’s also the absurdist observations that I mentioned with the role of the Captain, above. 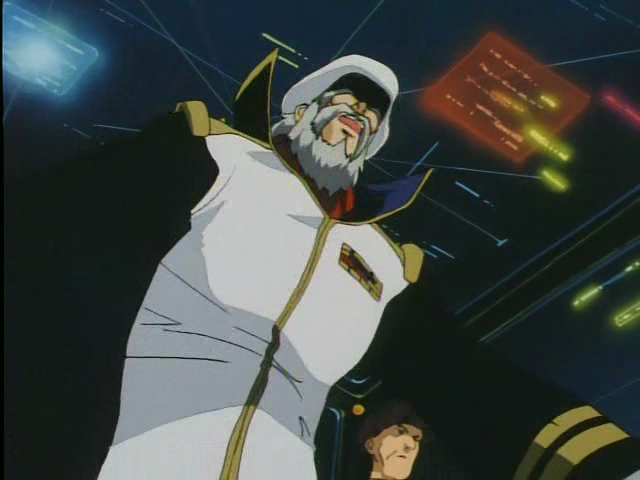 Objectively, singing and bathing suit competitions have nothing to do with the responsibilities of a space battleship captain, but to the corporation Nergal, independent thinking is unimportant, all that matters is that when they are told to advance on the enemy, the ship’s crew will respond enthusiastically. Aside from this there are various comedic character types, for example the mechanic who is a mecha-otaku, and the unctuous accountant from Nergal corporation. Unmanned Jovian ships swarm Earth's defense forces. The story of M-S Nadesico is a curious mixture of thoughtful plot advances, bizarre, unforeseeable twists, and a certain amount of pure silly. It certainly is true that the show explored a lot of interesting ideas, and refused to be boxed in by simplistic solutions to the problems it set out for itself, but I wouldn’t say the final episode answers all questions, in fact it mockingly explains this itself, as Ruri gives a run-down of some of the uncollected threads in the closing moments. In some ways the show really does seem to have been too ambitious for its own good, but I can’t help but be impressed by it anyways. Martian Successor Nadesico is not a show I would claim as one of the greatest I have ever seen. It fails to answer the most significant questions it puts before itself, but up until the end it has some thoughtful plot development. It wastes time on Rom-Com hijinx that have been done before, when it also has a unique humorous perspective that could’ve better served to fill in that time. Nevertheless, I was engaged watching it, and found myself alternately amused and intrigued. I certainly am glad that I watched it, and would probably consider watching it again someday. I would call this show a tragicomedy. It’s serious moments hit like a truck. I assume that you have yet to watch the movie.. Hmmm.. I recommend to read the manga first and prepare yourself. You are right. I haven’t seen the movie or the manga. I think I know what you mean about a tragicomedy. It is a very odd show because it is so loaded with humor, and much of it very silly, and yet it isn’t afraid to tackle very serious events. This series was both fun and thoughtful. I loved it’s parody/homage of the robot genre and scifi/space-opera anime in general. I also liked the way it points out that neither governments or corporations are to be trusted. The meta-comedy was funny, and Ruri is still Queen of the Snark to me. But what do you mean Izumi’s puns were bad!? The were awesome! There was one in the English dub that almost made me stand up and cheer. Izumi: “We ran out filters, so I had to strain the tea through a copy of Shakespeare. Now I have The Tempest in a teapot, that’s trouble brewing.” Izumi-laugh. 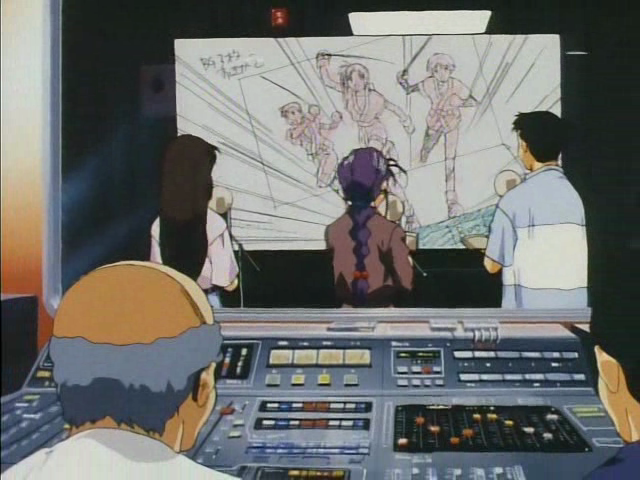 Amusingly, the beauty contest can actually be seen as a bit of foreshadowing for the movie. Which is itself very odd. If you watch the movie, be prepared. It’s much darker, and a lot of the parody humor is gone. Imagine the tone of the first few minutes of the TV series turned into a movie; it’s rather dark and very serious. This series is still an old favorite of mine. The complexity of the ethics was one of my favorite parts. There are no convenient good guys they can depend upon. Some day I’ll get around to watching the movie as well.